Soprano Bevin Hill is gaining attention as a performer of great charm and charisma in a variety of leading roles. Particularly cherished for her comedic gifts, Ms. Hill has memorably been lauded as a "rubber-kneed goddess of slapstick". She launched the 2017–2018 season as a tragedienne, joining Pacific Opera Project's Lucia di Lammermoor for her debut in the watermark belcanto role of Lucia, then returning to comedy as Adina in Opera Company of Middlebury's L'elisir d'amore. In February 2018 she makes her Carolina Philharmonic debut as soprano soloist. Ms. Hill enjoys a strong relationship with Vermont's Opera Company of Middlebury, where she returned in the autumn of 2016 to perform Papagena in The Magic Flute and returned during the summer of 2017 for Il trittico (Suor Osmina in Suor Angelica and Nella in Gianni Schicchi). Her other appearances with the company include Belinda in Dido and Aeneas, Opera Company of Middlebury's 10th Anniversary Concert, Léïla in Les pêcheurs de perles, and Lisette in La rondine, a performance which earned her praise for her "comedic timing and glorious voice". 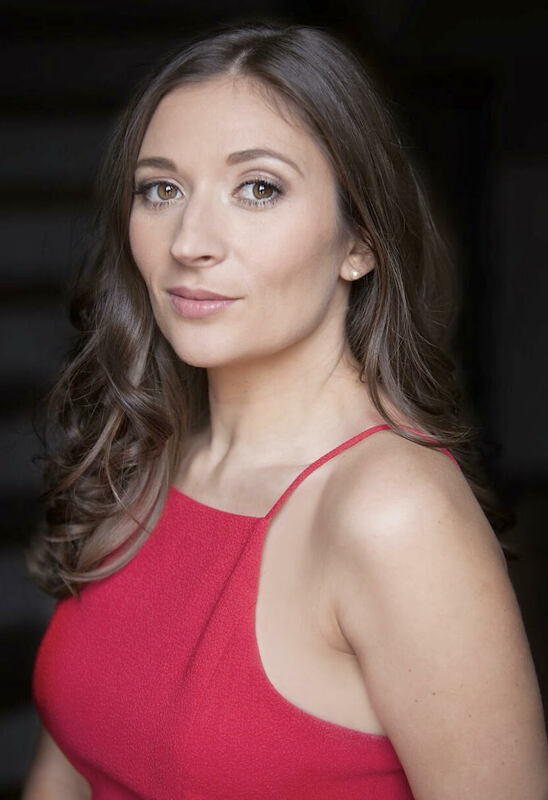 Additional recent engagements include Adina in L'elisir d'amore with Heartland Opera Theatre, a double bill of Gilbert & Sullivan's Trial by Jury and Tucker & Sheeley's The Trial of B. B. Wolf with First Coast Opera, Hannah in Pacific Opera Project's production of The Merry Widow and Yum Yum in Capitol City Opera's production of The Mikado. An alumna of young artist residencies with opera companies throughout the United States, Ms. Hill joined Opera Iowa in 2014 to perform Adina in L'elisir d'amore and Despina Pig in The Three Little Pigs. Later that year, she joined Des Moines Metro Opera to cover Annina in La traviata, perform scenes from Le nozze di Figaro (as Susanna), Lucia di Lammermoor (Lucia), Rigoletto (Gilda), and Show Boat (Magnolia), and participate in a concert dedicated to the works of Jake Heggie, performing his song cycle Natural Selection with the composer in attendance. Ms. Hill spent the 2012–2013 season as a member of Arizona Opera's Marion Roose Pullin Resident Artist Program, performing the roles of the Shepherd Boy in Tosca, Ines in Il trovatore, and Barbarina in Le nozze di Figaro, and studying the roles of Lucia in Lucia di Lammermoor and Susanna in Le nozze di Figaro. As a 2012 Young Artist with Opera Saratoga, she performed the role of Grittly in Offenbach's rarely performed one act opera Le 66 and the solo role of Female Fan in William Schuman's The Mighty Casey. In 2011 and 2012 Ms. Hill was a Resident Artist with New York's Dicapo Opera Theatre, performing Anna Gomez in The Consul and covering Brigitta in Tchaikovsky's Iolanta. In the summer of 2009, Ms. Hill made her New York City debut as Musetta in La bohème with the Martina Arroyo Foundation. She has also performed the roles of Giulietta in I Capuleti e i Montecchi, Ida in Die Fledermaus, and Gretel in Hansel and Gretel with New York Lyric Opera at Symphony Space. Ms. Hill received her Masters degree in Vocal Performance at Manhattan School of Music under the tutelage of acclaimed soprano and director Catherine Malfitano and her Bachelor of Fine Arts degree from Carnegie Mellon University. During her time at Manhattan School of Music, she performed the roles of Mélantho in Fauré's Pénélope and Gismonda in Steffani's Tassilone, as well as writing and performing in the children's opera The Cricket in Times Square. Ms. Hill was a 2012 District Winner of the Metropolitan Opera National Council Auditions in her home state of Georgia and Regional Semifinalist for the Southeast Region.